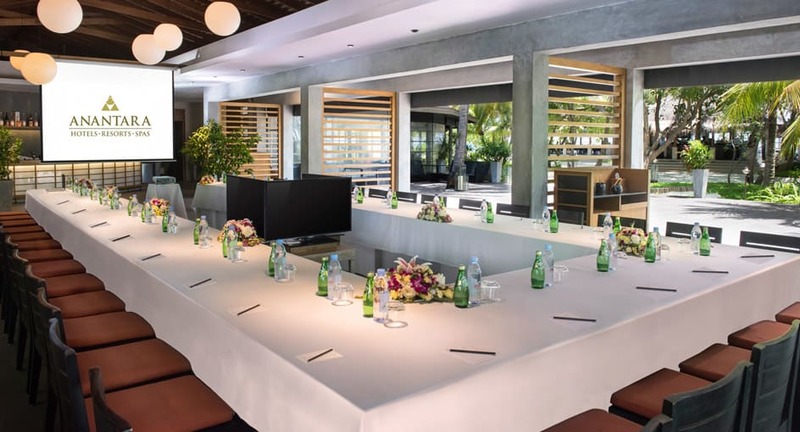 Incentivise in high fashion with an Indian Ocean retreat at our meeting rooms. Whisk the team to an island paradise. 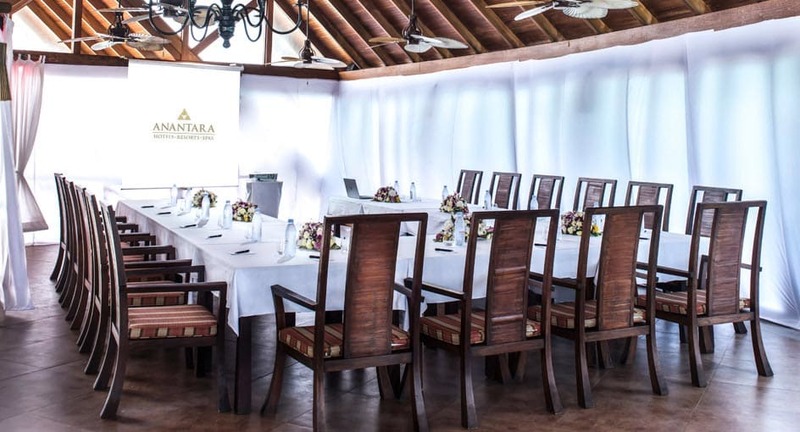 Located only 35 minutes from Malé International Airport and accessible 24 hours a day, Anantara Veli offers a cosy atmosphere for high-powered retreats, launch events and team building. Brainstorm overlooking the lagoon, energise with excursions across the waters, entertain in an oceanfront marquee with live music and cocktails. 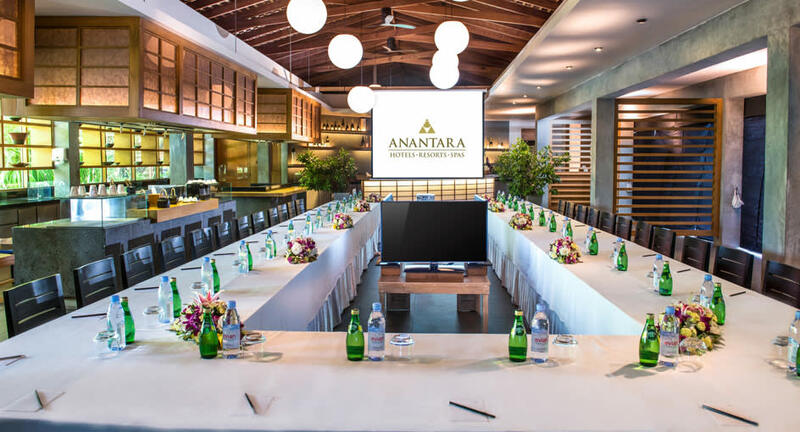 An adults-only island with an array of meeting rooms in the Maldives, dining and recreational facilities to choose from, Anantara Veli is pleased to tailor each event to your requirements. Origami boasts modern minimalist décor, ocean views and a central al fresco courtyard. A highly customisable event space that flows from indoors to out, perfect for breakout sessions and refreshments. 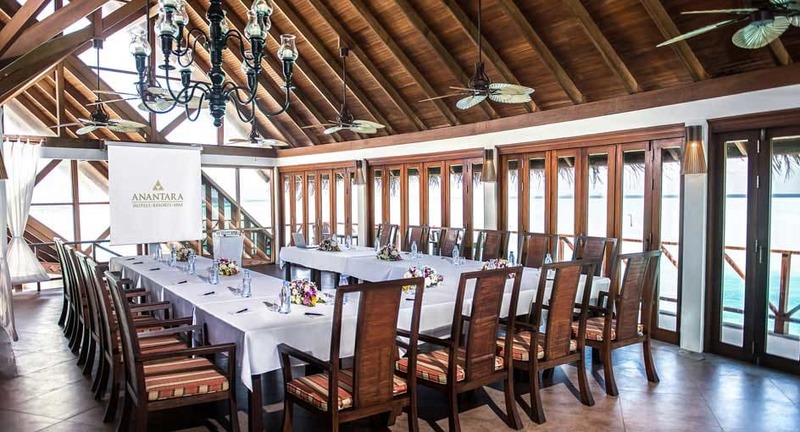 An upper-floor loft perched over the lagoon at Anantara Dhigu, with floor-to-ceiling doors to let in ocean breezes. Natural sunlight abounds, and an outdoor terrace is perfect for coffee and tailored snack breaks.